There are several methods available for replacing missing teeth, and dentures are one of the most well-known. Through the years, they’ve gained a reputation for being inconvenient, clunky, and uncomfortable — but for most patients, that cliché is far from the truth. Let’s talk more about full dentures in Enfield and all the benefits they offer. The teeth are often made of porcelain or acrylic. These materials look natural and can withstand most of the rigors of everyday life. The base is a gum-colored substance, usually resin, that attaches to your gums via natural suction or a dental adhesive. Dentures are appropriate for many patients, including those who aren’t candidates for dental implants. It’s also worth noting that many insurance companies are willing to help pay for dentures, which means they are often a relatively affordable solution for missing teeth. What Advantages Do Full Dentures Offer? When dentures fit well, they don’t take a long time to get used to. 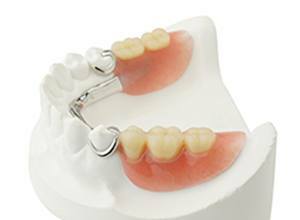 Many patients have found that their artificial teeth are much more comfortable and easier to wear than they expected. 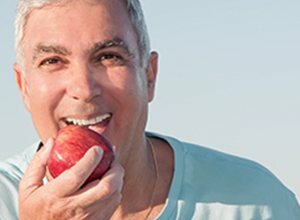 Thanks to modern techniques for creating dentures, these prosthetic teeth can be very pleasing to the eye and perhaps even boost your self-confidence. They may also help to preserve the shape of your face. While it is important to be careful with your dentures, you can reasonably expect that you’ll be able use them to enjoy all of your favorite foods. If your teeth fit well, it’s unlikely that they’ll slip out of your mouth while you’re eating or speaking. To begin your journey toward a renewed smile, please visit your dentist in Enfield for a consultation. We’ll evaluate your oral health and make a recommendation on the best method for replacing your missing teeth. If dentures are right for you, we may have to extract any remaining teeth you have that would interfere with the way your dentures fit. Then, we’ll make impressions of your mouth and begin the process of creating and fitting your custom new smile. Exactly how long it takes for you to get your dentures will depend on whether we need to extract any teeth (your gums will need time to heal). The general timeline for getting dentures is anywhere from a couple of weeks to a few months. After you get your new dentures, it’s important that you come in for regular dental checkups. We’ll want to make sure that your gums are healthy and that your prosthetic teeth are continuing to fit well. The dentures may need periodic refitting or even replacement. 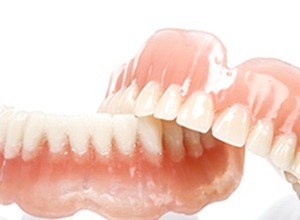 If you would like to learn more about dentures, please contact us. We are always pleased to help our patients achieve attractive, strong, and complete smiles.